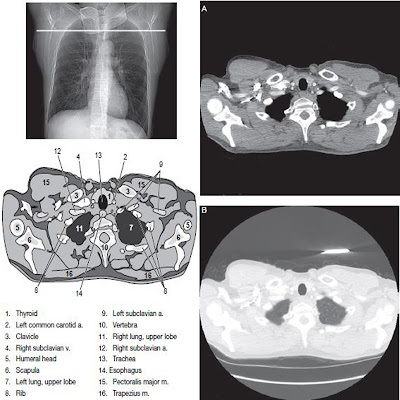 Spondylolisthesis involving L4 to L5 or L5 to S1 and other L5 to S1 pathologies is demonstrated. Shield gonads without obscuring area of interest. Patient should be in the lateral recumbent position, with a pillow for head and knees flexed. Provide support between knees and ankles to better maintain a true lateral position and ensure patient comfort. Align midcoronal plane to CR and midline of table or grid. Ensure that pelvis and torso are in true lateral position. Center CR 1.5 inches or 4 cm inferior to iliac crest and 2 inches 5 cm posterior to ASIS. Center IR to CR. Minimum SID is 40 inches or 100 cm. Close four-sided collimation to area of interest. Open L4 to L5 and L5 to S1 joint space. No rotation of the patient is evidenced by superimposed AP dimensions of greater sciatic notches of posterior pelvis and superimposed posterior borders of the vertebral bodies. Correct alignment of the vertebral column and the IR and CR is indicated by open L4 to L5 and L5 to S1 joint spaces. L5 to S1 joint space in center of closely collimated field / IR. Optimal contrast and density should clearly demonstrated the L5 to S1 joint space through the superimposed ilia of the pelvis.